What Filipino ethnic group do you belong to again?...I'm half Ilocano on my paternal side, and half Tagalog on the maternal. 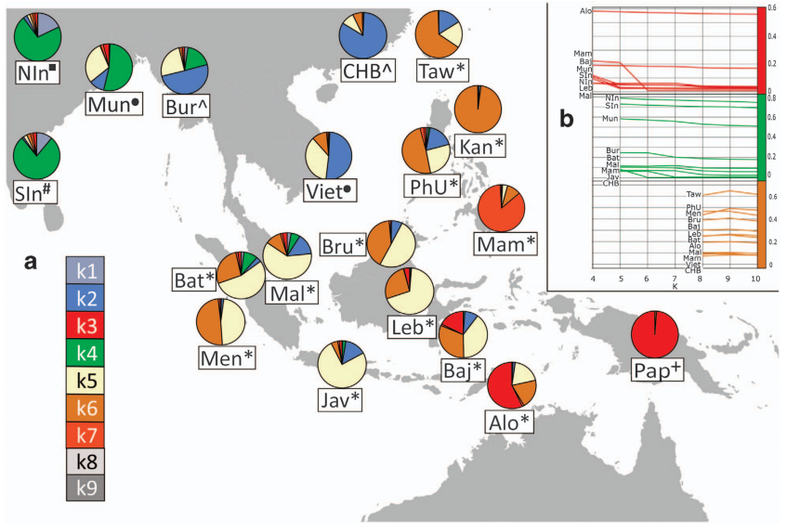 I read that Visayans usually score the highest European admixture...Tagalogs the highest Chinese...Ilocanos the highest Austronesian...and the southernmost areas of the Philippines I think would probably score higher Oceanian/Papuan. Last edited by shazou; 12-18-2016 at 10:24 AM. On paternal side, my great-great grandfather was an Ilonggo who migrated in southern Philippines (northern part of Mindanao island). On maternal side, my mother's paternal roots are in Bohol province in the Visayas islands. However, the maternal ancestors of my paternal grandfather were natives of Cagayan de Misamis (present day Cagayan de Oro City), most likely of Higaonon or Manobo tribe in northern Mindanao. Does she happen to have 'known'/documented Chinese ancestry as well? My mom gets like 17% East-Asian/Chinese on DNA.Land....has no documented proof or known Chinese ancestors she knows of though. 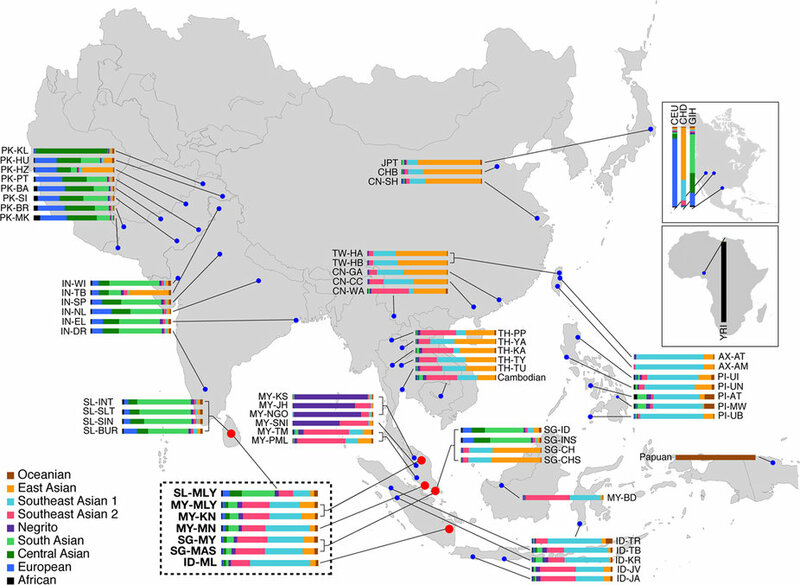 But based on the genetic studies I've read so far Tagalogs will usually possess the highest amounts of Chinese/East-Asian admixture out of all Philippine ethnic groups as far as I'm aware of. Last edited by shazou; 12-09-2016 at 10:27 AM. 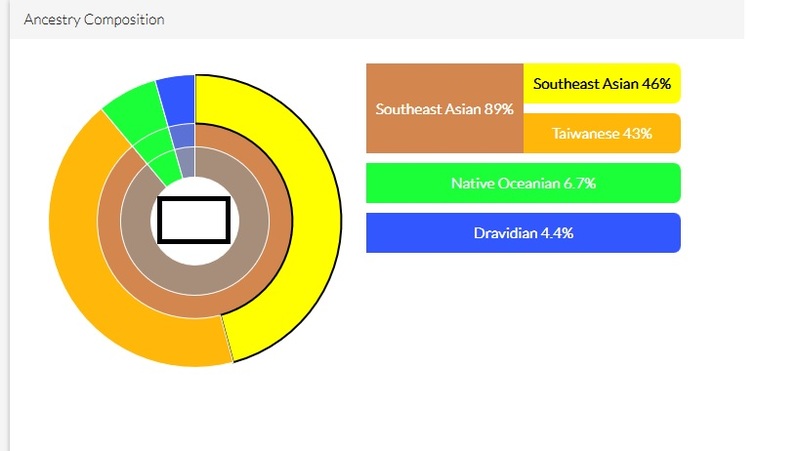 The reason I think your Oceanian percentage is substantially higher than mine is probably because your Philippine ancestry is of more towards the southern regions of the Philippines, whereas my ancestry locations are more towards the north being of Ilocano and Tagalog descent and all. This new DNA test looks interesting: https://www.myheritage.com/dna ... It is reported that they plan on breaking down one's ancestry based on 100+ reference populations in the upcoming few months. It would be pretty cool if they broke down Southeast Asia in more detail than those tests currently available today. Last edited by shazou; 12-20-2016 at 06:20 AM. I don't stumble upon here for a long time. My mom's from the Bohol province. Do you have a Korean ancestry? Filipinos have some of the most interesting results IMO. I would love to test my friend. She's from Negros. Her features are very Islanderish lol. 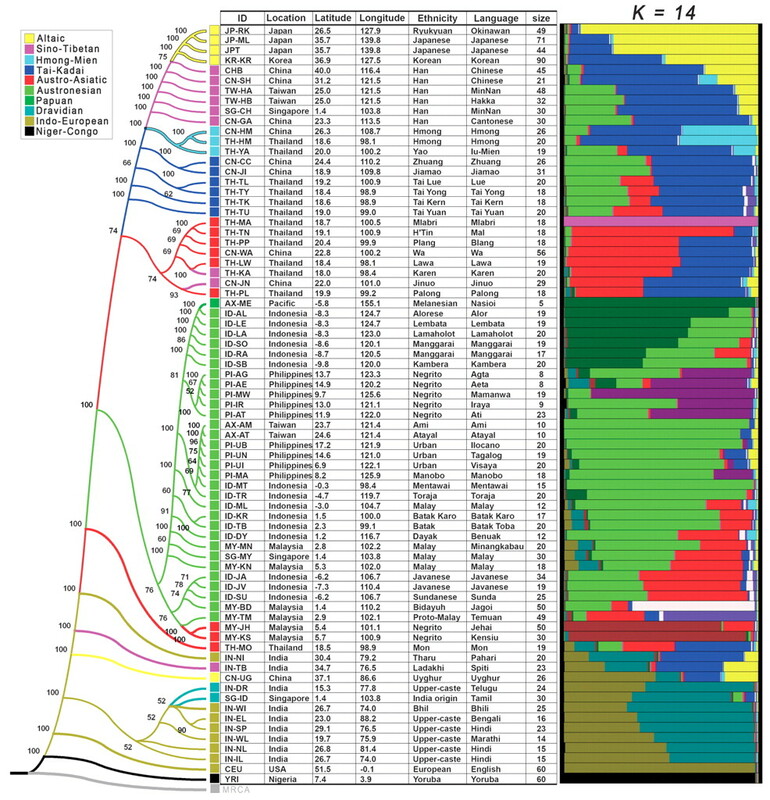 I noticed that Spanish ancestry shows up as all sorts of weird things on DNA.Land for Filipinos. Like it'll show up as Mid-Turkic, or Iranian, or even Finnish lol. For correctly assigning Iberian in most Filipinos..23ndme seems like the best way to go IMO. 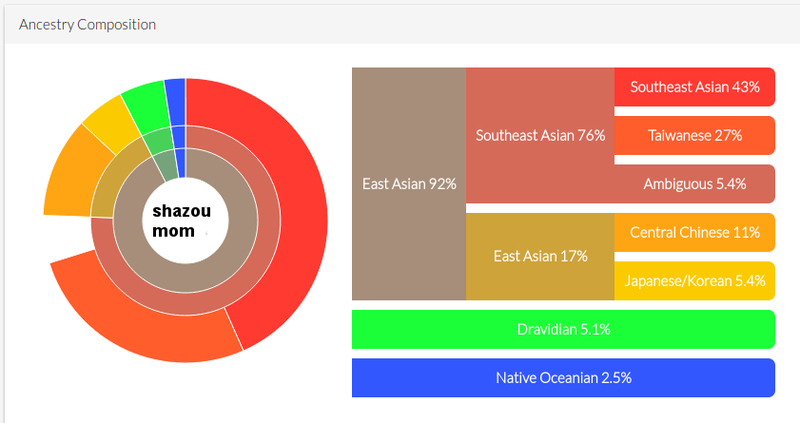 My East-Asian is not entirely South-Asian owed?